Home » Wireline Services » Category: "Pipe Recovery"
Yes-we-can-do-it-today 24/7 service to start your recovery job now! Convenient locations near major shale plays to give your operation the fastest possible service. All inclusive pricing (with no surprise charges) so you can efficiently budget job cost. Master Service Agreements (MSA) that clearly state job details and provide peace of mind that the job will be completed as promised. 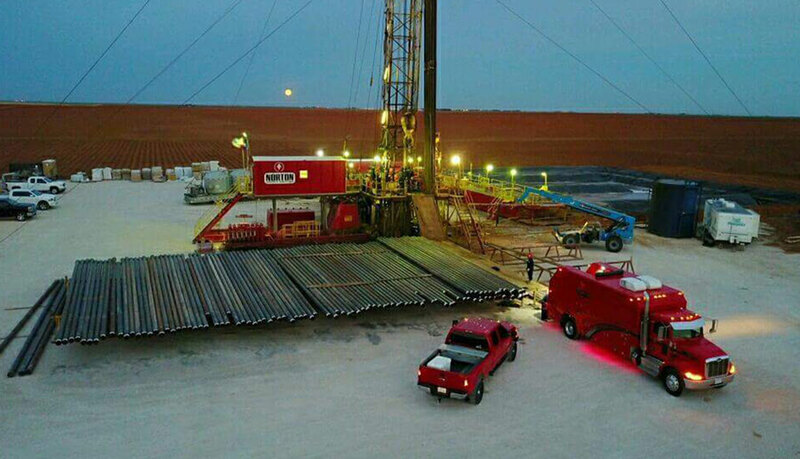 State-of-the-art tools and technology that save lost production time and downtime expense in getting your rig up and running as quickly as possible. Bright and preceptive service technicians with extensive recovery experience that will provide the most time and cost-effective solution for your job. We appreciate you choosing Renegade Recovery Services to provide customized stuck pipe solutions for your operations and look forward to working with you! Stuck pipe? The clock is ticking. Renegade Recovery Services is here for you 24/7. MCR Oil Tool’s circulating pyro torch was developed using the same principles as the successful and field-proven radial cutting torch (RCT) system. In most conditions, adequate flow into the annulus is required when expecting a successful cut while running an RCT job. MCR Oil Tool’s radial cutting torch (RCT) is a patented cutting device used to sever tubing, casing, drill pipe, and coiled tubing without the use of explosives or hazardous materials, making it one of the safest pipe cutting tools on the market.